The company revealed the game at the Dragon Quest Summer Festival 2017 going on in Japan this weekend and even teased some early gameplay footage. 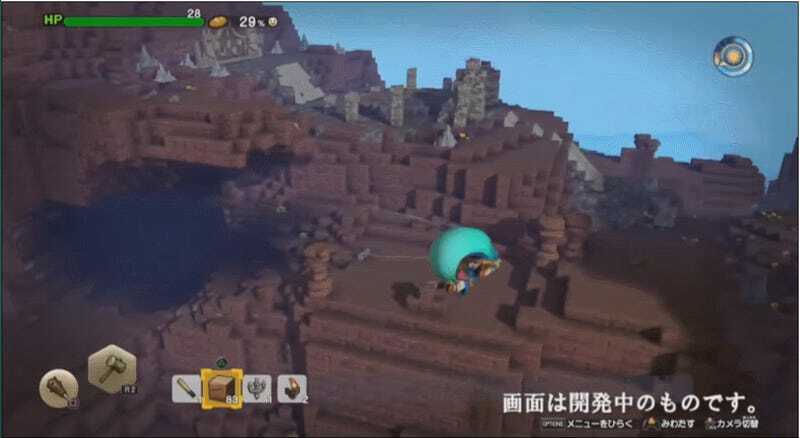 The first Dragon Quest Builders took the Minecraft formula and applied it to a beloved RPG series with a surprising balance between a guided story and open-ended simulation. Apparently, the new game will build on the successful formula of the first by adding things like underwater diving and multiplayer between up to four people, as well as tripling the number of blocks that can be stacked on top of one another. More importantly, there will be hang gliding, because as The Legend of Zelda: the Breath of the Wild there’s no more satisfying way to get from point A to point B than falling really slowly. It’ll also no doubt be a great way to get some perspective on the things you’ve built in DQB2 and admire them from afar. Between this news and the announcement last week that Dragon Quest XI would finally be making its way to North America in 2018, it’s never been a better time to be a Slime-fan. Perhaps it’s only a matter of time before the series branches off into other, less obvious genres. Anyone else pining for a Dragon Quest Racers? While there’s no release date yet, Square confirmed that Dragon Quest Builders 2 would be coming to both PS4 and the Nintendo Switch. You can find the entire Dragon Quest presentation below.